Great News! 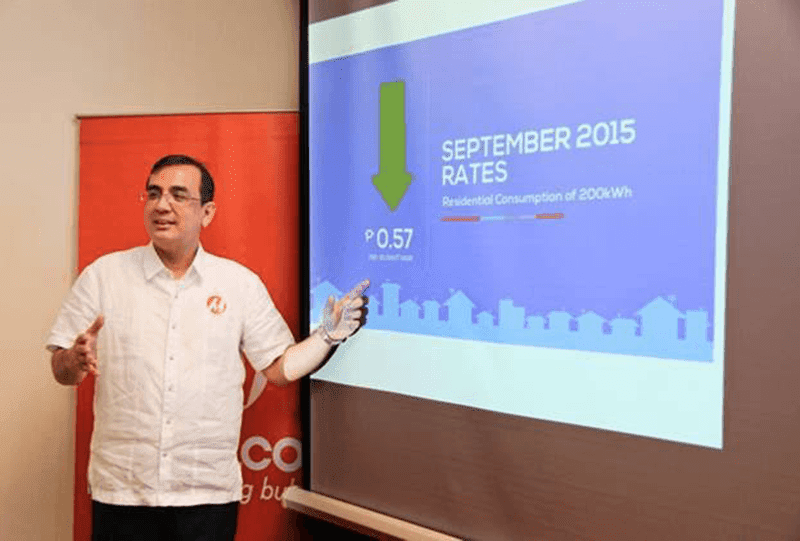 Meralco Rates Down For The 5th Staright Month! Home / meralco / meralco philippines / meralco rates down / news / services / Great News! Meralco Rates Down For The 5th Staright Month! Another great news to start the day! In a recent press release sent to us by DDB, the PR agency of Meralco they just announced that the power rates is down for the 5th straight month! Meralco Public Information Office Head Joe Zaldarriaga (in photo) expounds that the overall rate decrease was due to a reduction in the generation charge, brought about by improved power supply coming from generation companies. After 4 consecutive months of reduction the overall electricity rates for the month of September was down by 0.57 Pesos per kilowattt hour (Kwh) for residential customers. It was also the seventh time for this 2015 we've seen Meralco rates have gone down. This would be a great help to everyone to lessen daily expenses in general and focus on the other basic needs in life like food, water, clothing and etc. I just hope that this trend continues. Visit Meralco's Facebook page for more updates and information: Click Here!